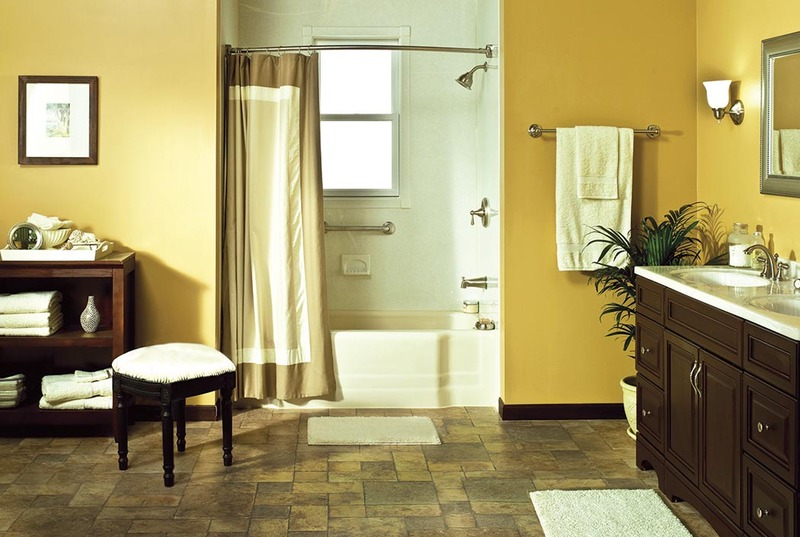 Turn your ordinary bathroom into the bathroom of your dreams in just 1 day! 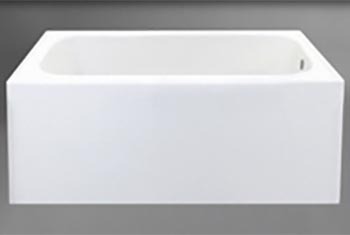 Imagine never having to scour your bathtub and tub enclosures with strong-smelling chemicals again. It sounds, well, imaginary, right? 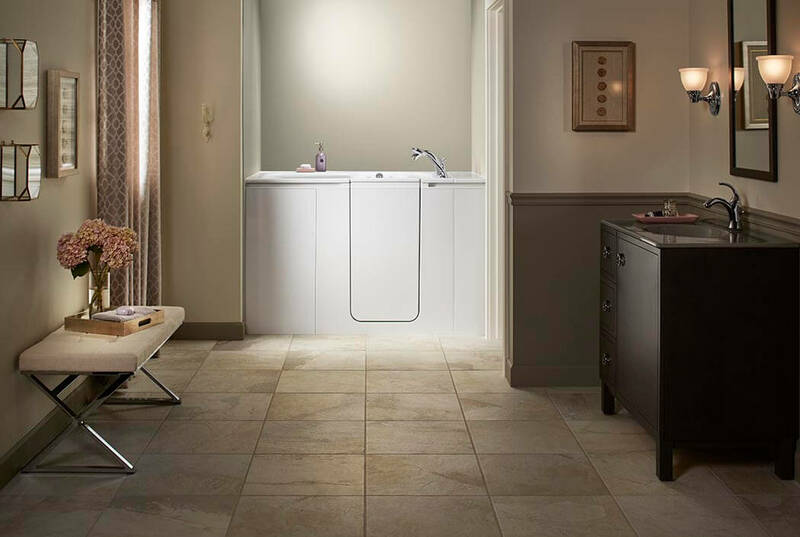 With the help of Reborn Bath Solutions and our acrylic tub liners, you can see that dream become a reality. 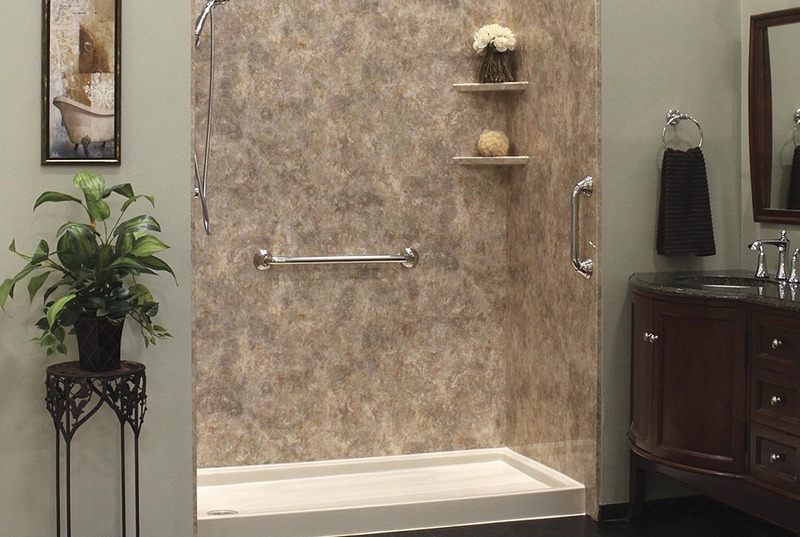 Our tub and shower enclosures are made of 100-percent American-made acrylic, form fitted for a tight seal, and guaranteed to never chip, crack, peel, or fade. 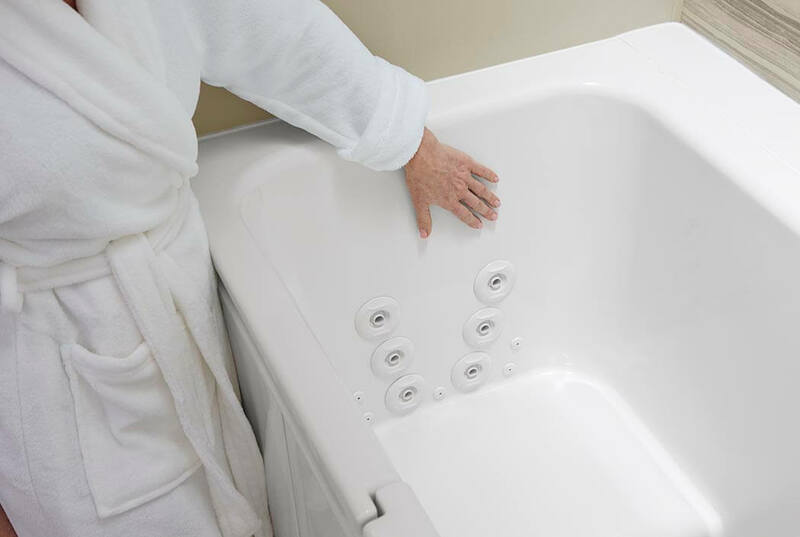 Also, thanks to Silver Shield™ bacteria fighting technology and MilGuard™ mildew and mold protection, you won’t have to spend all your free time cleaning your new tub enclosure from Reborn –it’s virtually maintenance free. 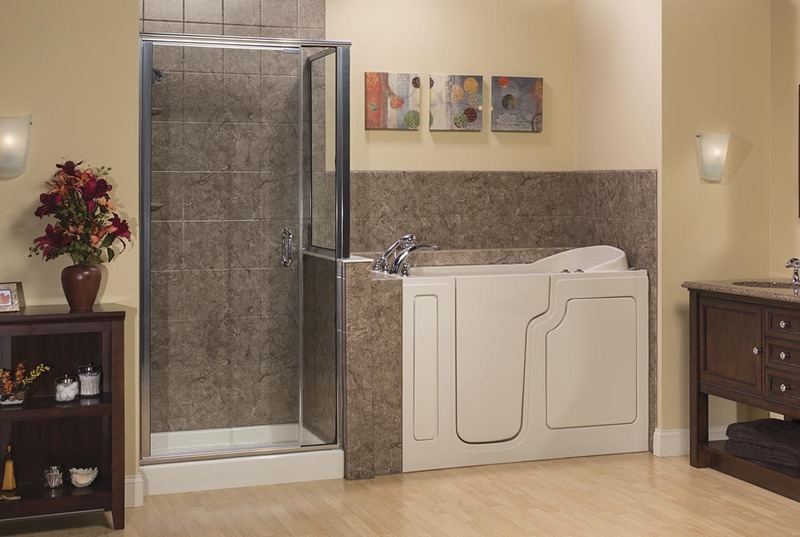 At Reborn Cabinets, we understand the necessity of safety and accessibility. Our homes are meant to be places that we feel comfortable and happy in, and we are here to help make that happen any way we can. 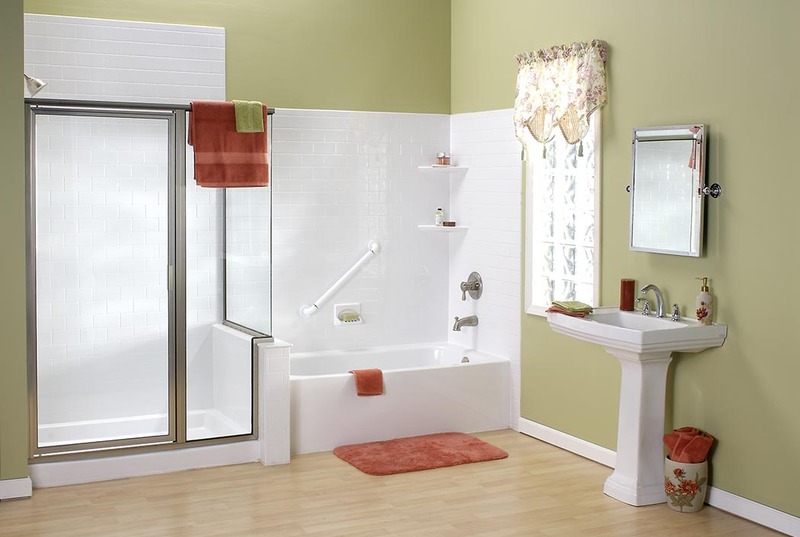 Having a walk-in bathtub in your bathroom can make life much simpler and much safer. 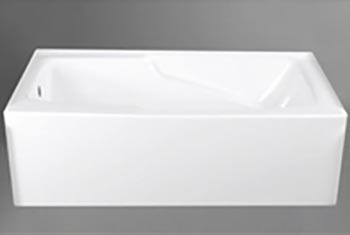 Imagine waking up in the morning and going to take a bath without ever having to step over the lip of the bathtub. You just walk right in, close the door behind you, and fill up the tub. And when you’re done, the water will drain quickly. Soon after, you’ll be able to stand up and walk right out the same way you walked in. The Ultimate Remodeling Experience® will provide our clients with quality and service unparalleled in the remodeling industry. From the initial contact through the completion of the project, our clients experience an attitude of genuine caring and interest in their needs. Our field service teams treat each client’s home with respect, as if it where their own. The evidence of our field service team’s commitment to this goal is apparent in each team member’s promptness, cleanliness, and professionalism. Each member of our team enthusiastically takes individual ownership of the project, listening to each client’s concerns and addressing them promptly. Learn more about The Ultimate Remodeling Experience® here! 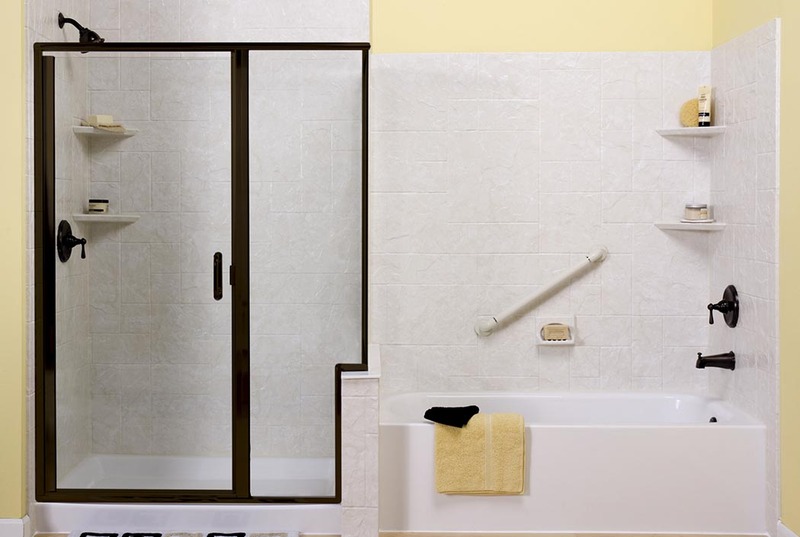 Why Choose Reborn Bathroom Solutions? "Very satisfied with the workmanship and quality of material. " 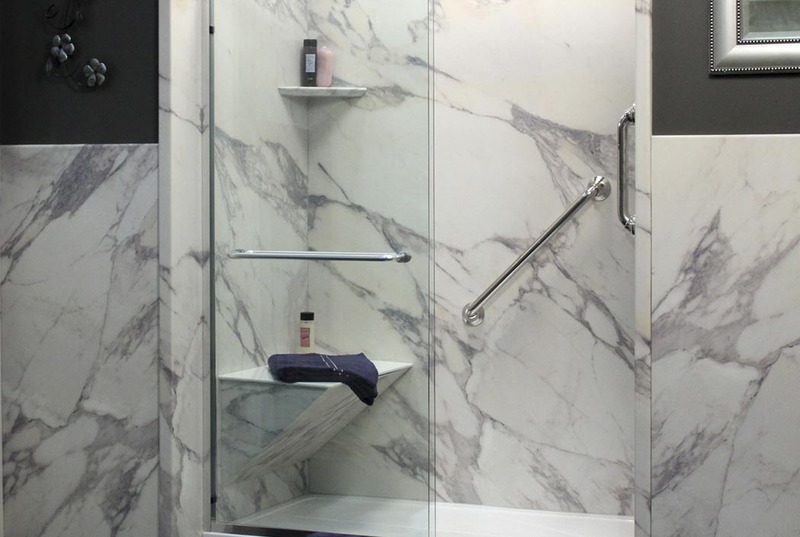 Your Reborn Bathroom Solutions Designer will bring our showroom to you! 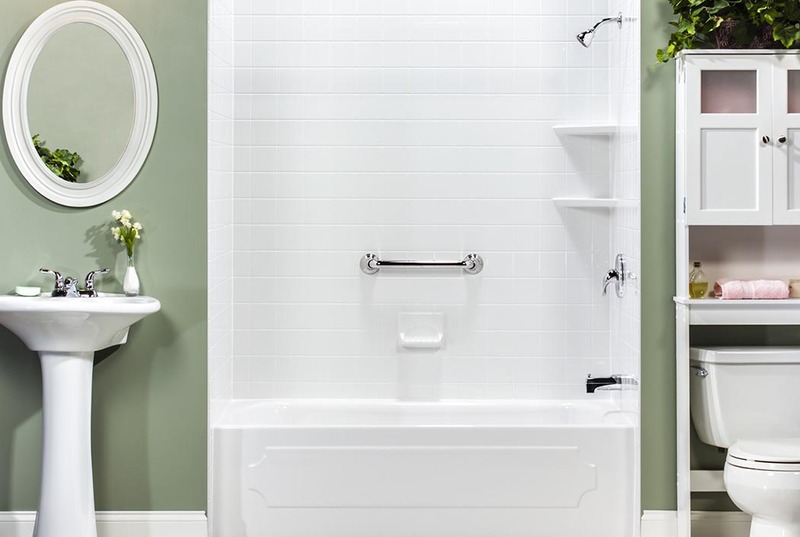 When you call for our complimentary in-home consultation, you begin your bathroom’s journey from ordinary to extraordinary…in as little as 1 day! 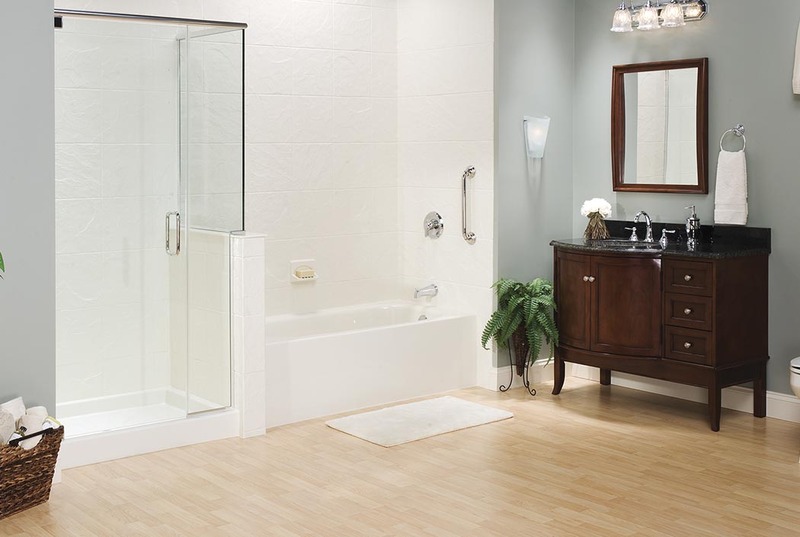 Our team will begin by removing your existing tub or shower. From there, we will work to provide your home (and your family) with The Ultimate Remodeling Experience®. 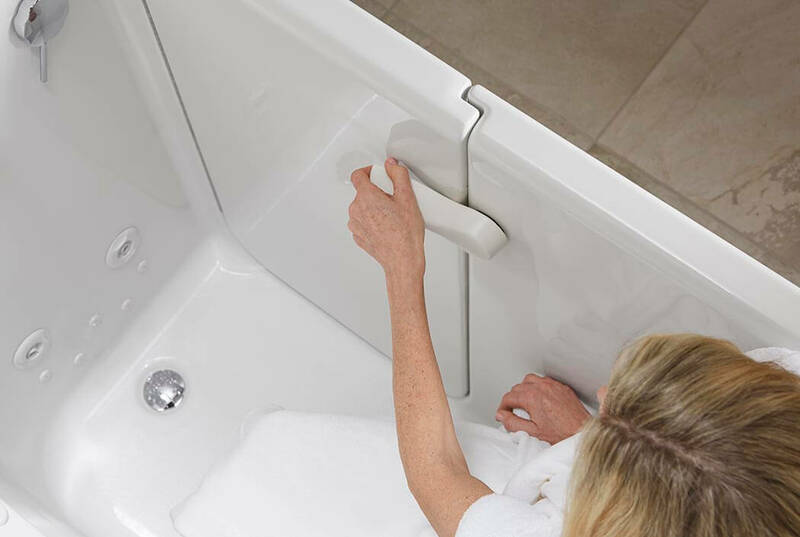 This is, by far, the most important step on your journey with Reborn Bathroom Solutions! 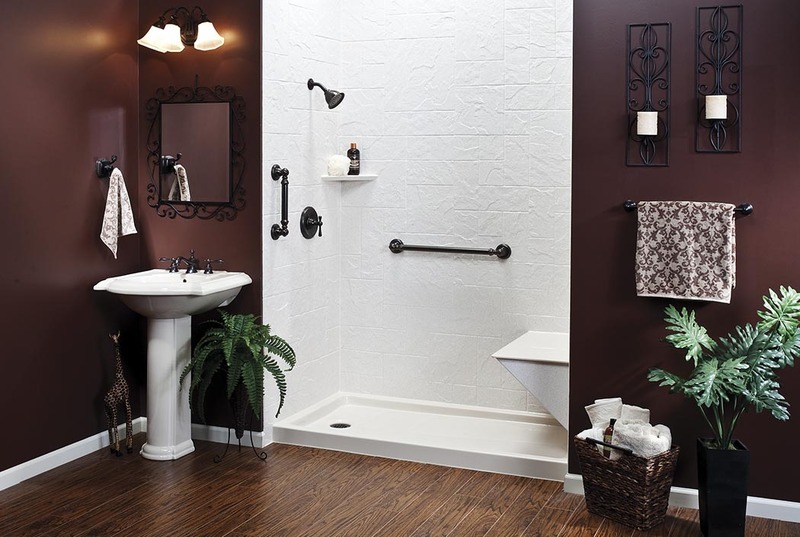 In as little as a day, your old, tired bathroom will be shiny, new, and ready to impress! 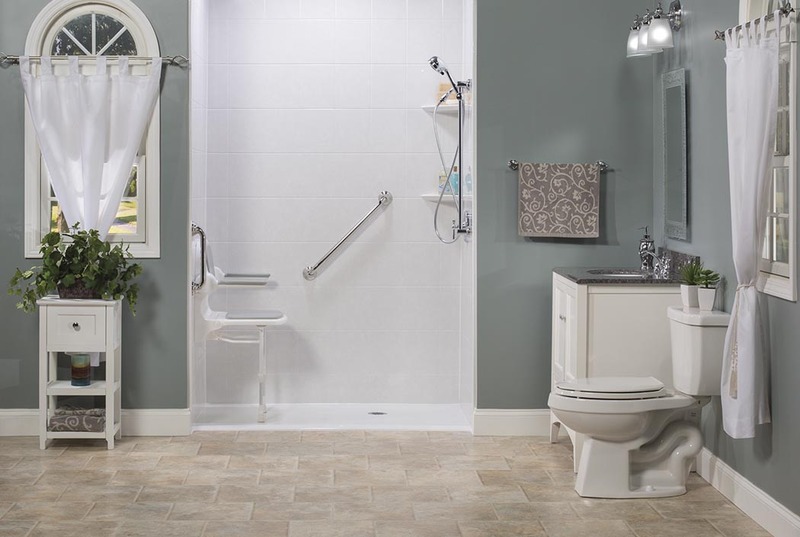 When you hire Reborn Bathroom Solutions, you can look forward to the quick and efficient installation of a shower, tub, or walk-in tub that is not only beautiful, but long lasting and easy to maintain. 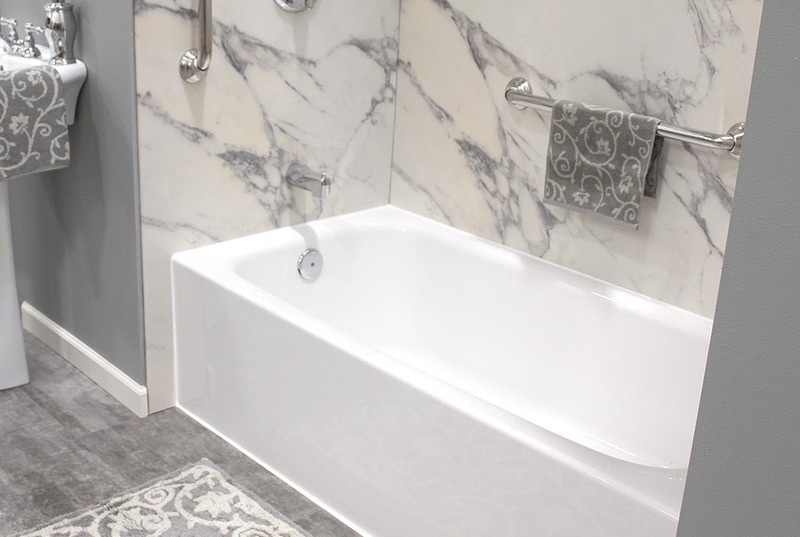 Our field service team installs products made from durable, non-porous acrylic material that can mimic the appearance of granite, marble, travertine, and other natural stone without any of the upkeep. 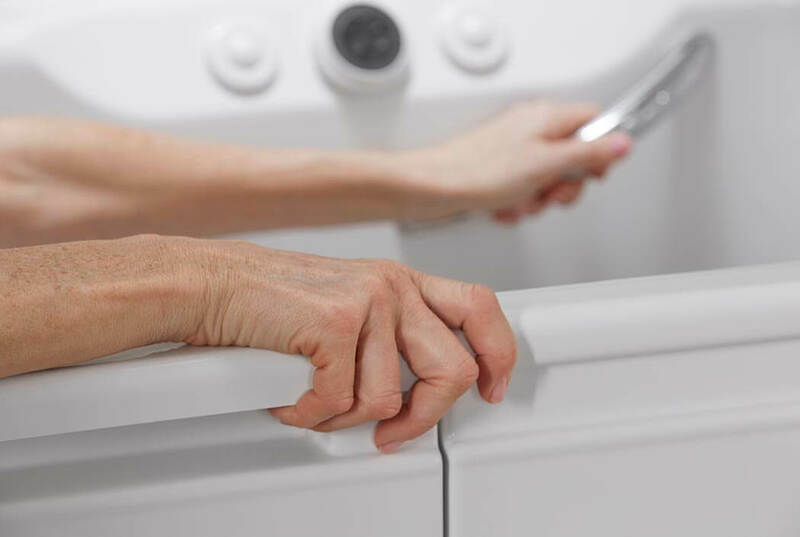 We also offer gorgeous KOHLER® shower wall systems made from LuxStone™, an easy-to-clean proprietary composite material that resists chipping and cracking. 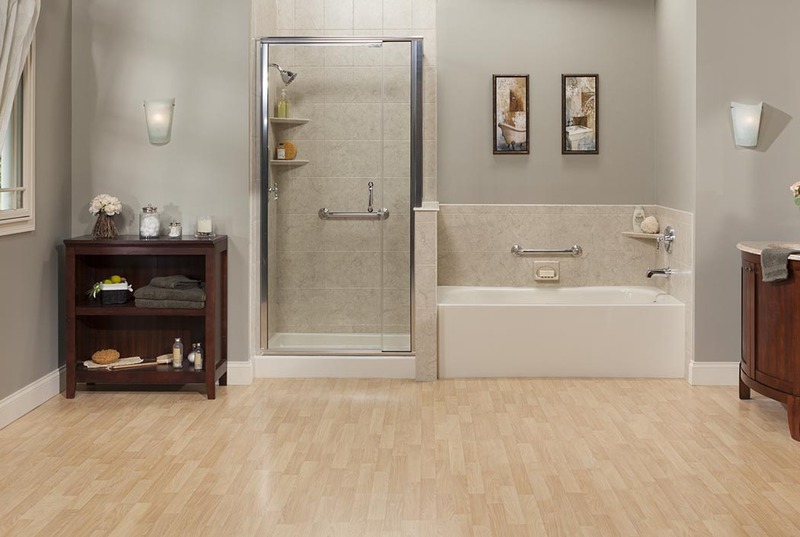 Our bath products are also resistant to mold, mildew, and bacteria growth – that way, you won’t have to scrub or use toxic chemicals to keep your bathroom clean and attractive. The thought of renovating your home can be a bit overwhelming. With so many options to choose from and factors to consider, it’s understandable if you feel a little lost at sea. That’s why at Reborn Cabinets, we regularly offer free workshops where you can discover from the pros what to expect when you begin a remodeling job. Additionally, get helpful tips and expert perspectives on products and materials and learn everything you need to know in order to make informed decisions about your home improvement project, including the most important questions to ask perspective contractors. If you’re interested in attending our next workshop, contact Reborn Cabinets today. But hurry, seating is limited and spaces fill up quickly. We are in the early stages of beginning a remodel on our bathroom. I had no idea where to start, or what to expect! All my questions were answered. Our major concern was deciding between refacing our cabinets, or getting new ones all together! I feel much more prepared to make this decision having attended this event. The priority at Reborn Cabinets is to offer The Ultimate Remodeling Experience®. The Ultimate Remodeling Experience® will provide our clients with quality and service unparalleled in the remodeling industry. From the initial contact through the completion of the project, our clients experience an attitude of genuine caring and interest in their needs. Our field service teams treat each client’s home with respect, as if it were their own. The evidence of our field service team’s commitment to this goal is apparent in each team member’s promptness, cleanliness, and professionalism. Each member of our team enthusiastically takes individual ownership of the project, listening to each client’s concerns and addressing them promptly. Learn more about The Ultimate Remodeling Experience® here!